Burnley boss Sean Dyche has been shortlisted for the coveted Manager of the Season award by the Premier League. 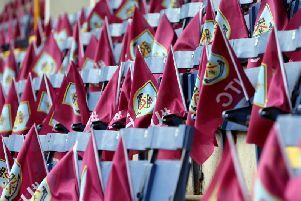 The Clarets boss is one of six names on the shortlist after steering the Clarets to their highest league finish since 1975 and to the brink of european qualification. Fans can now vote for Dyche, who has been nominated alongside Manchester City’s Pep Guardiola, Liverpool’s Jurgen Klopp, Newcastle United manager Rafa Benitez, Crystal Palace’s Roy Hodgson and Brighton and Hove Albion boss Chris Hughton. Public votes will represent 10% of the total votes and be combined with those of the panel in deciding who will receive the award, sponsored by Barclays. The winner is to be announced on the evening of Tuesday, May 15th at the LMA Awards ceremony.